Solar power purchase agreement (Solar PPA) and leasing solar are great ways to going solar because of the “no money down aspect”. These concepts have helped to overcome the main barrier of going solar, that is, the high initial cost of solar panels. For example, an average 6kW (6,000 watts) solar Power system can cost between $11,380 to $14,990 (after tax credits) based on 2018 EnergySage figures. However, using solar leasing and solar PPA, such a solar PV system can be obtained with no money down; hence allowing a solar buyer to enjoy the benefits of going solar even without having to own the solar PV system ( with zero solar investment). Due to this high initial cost of going solar, not so many people were able to afford solar panels until when the concept of presenting “solar as a service” was pioneered. This concept (leasing solar and solar PPA) unlocked consumer demand for going solar because obtaining solar panels was made easier and consumers don’t have to own solar panels. Solar panels are owned by a third-party entity and the only thing paid for by the user of the solar panels is the electricity consumed (normally paid in terms of kWh used). Instead of consumers buying for solar panels to install in their rooftops, solar businesses have adopted a “solar as a service” approach or no money down solar. It is estimated that using such an approach, solar buyers can save from 20% to 30% of their current energy bill. To learn more about the EnergySage Online Solar Marketplace Platform and why you should use it to go solar, check out this article about the benefits of using it. With the decreasing solar costs, solar loans and going solar on cash terms or paying the whole solar cost upfront (cash option) has also become popular. The cost of solar even without subsidies in some countries like Germany is at grid parity. Grid parity means solar energy is able to compete with other forms of energy even without subsidies. At this level, solar energy prices compete very well with retail prices of other sources of energy. However, solar PPA and solar lease are the financing options that are popular in many states in the US where such models have been approved. Solar PPA and solar lease have been approved in many states with the exception of states like Florida. The average price of electricity in states that allow PPAs is about $.15/kWh while the average PPA price in the USA is $.11/kWh and rises with a solar ppa escalator of 2.9%. What financing options are ideal for you, solar ppa, solar lease, solar loan or cash options depending on your solar costs, the state you live in and financing available to you. 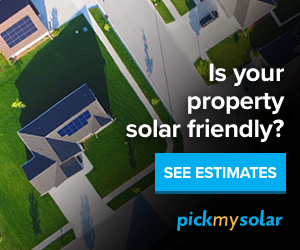 By using a solar panel calculator, you can actually determine: is solar worth it for your home or business depending on your solar potential, solar costs and savings. Is leasing solar panels available in your specific state? What solar options are suitable for your case and approved in your state?